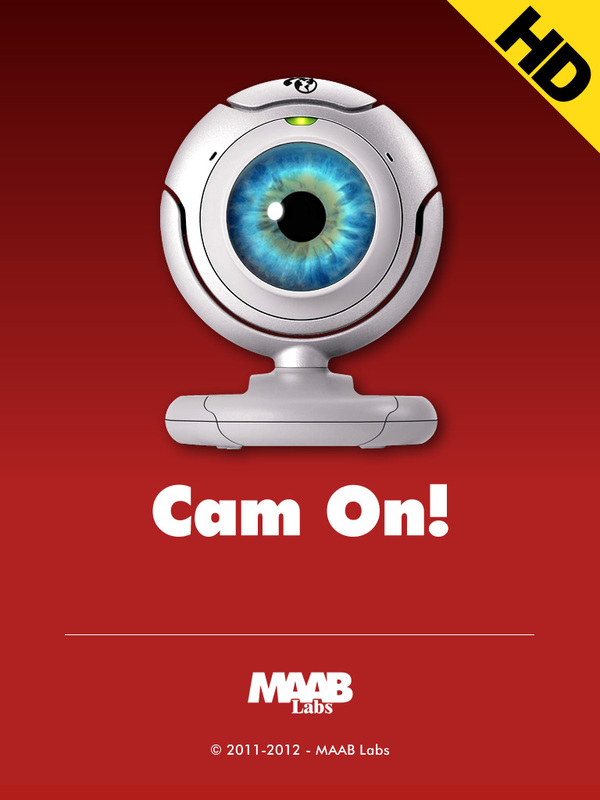 Cam On! 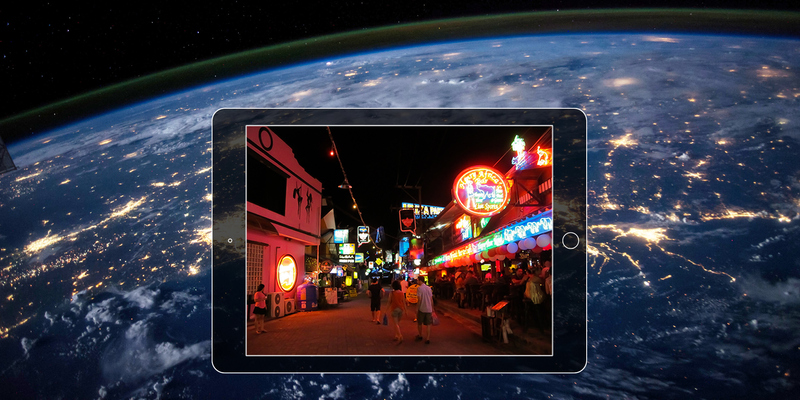 HD is a navigation tool for iPad that lets you explore the world by interacting with the most beautiful webcams published on the web. We have collected in a large database the most engaging streaming webcams, with a special attention to the interactive ones. Cam On! 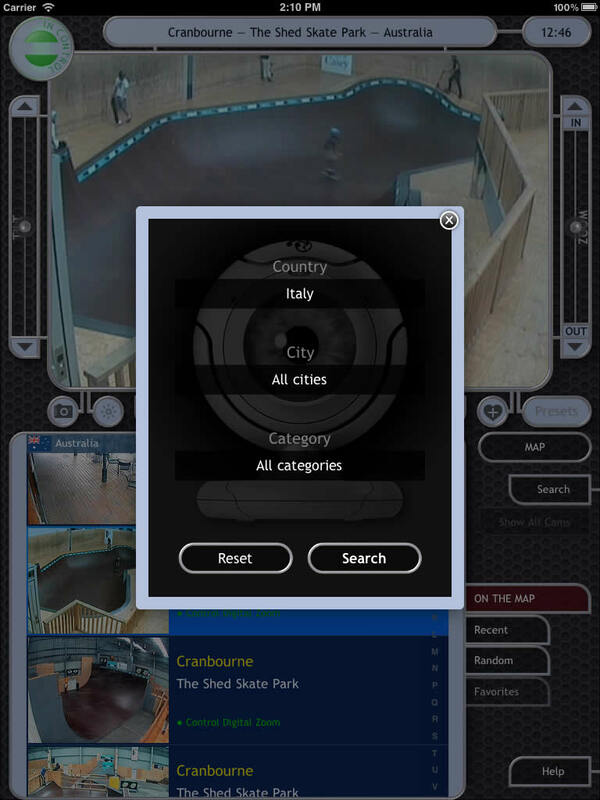 lets you take the control of robotic cameras (Pan, Tilt and Zoom), through a simple, intuitive interface. Even for non-controllable engines we have provided an interactive system (Control Digital Zoom) that lets you navigate in the most engaging manner within the image. The database is constantly updated with the elimination of the no longer running cameras, and with the inclusion of the latest published ones. The app icon over time has become the mascot of MAAB Labs under the name of Puppyeye, and as such has been reproduced on various items (t-shirts, mugs, covers for smartphones, etc.) 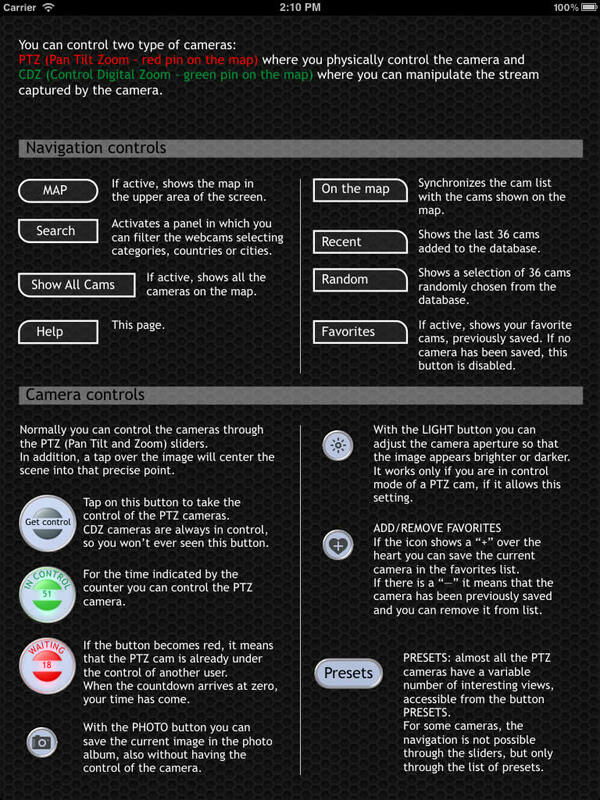 that you can view in the gadgets page and buy from the indicated sites.